The West Coast of the USA is renowned for producing some of the most famous strains on the market today; but which are the best of the best? And where is this magical land that produces them? There are a lot of hard hitting and legendary strains on the international cannabis market today, and a great deal of them were conceived within the Emerald Triangle, the US mecca of cannabis growing. 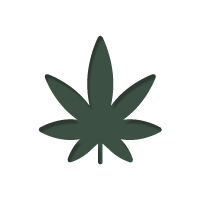 Located on the West coast of the USA, in the northern region of California, the Emerald Triangle refers to the largest cannabis producing region in the United States – consisting of Humboldt County, Mendocino County and Trinity County. Taking off in the 60’s, cannabis cultivation took the region by storm, with some growers in the region now believed to be making in the region of $1 billion a year, which was further driven by the legalisation of medical marijuana. Growing cannabis is now considered a way of life in the region, and pretty much everyone living within it is linked to the cannabis industry in some way or another. Possibly one of the most famous strain of all time, OG Kush is the stuff of legends. It has been the go to choice for many rock stars, rapper and celebrities over the years, as well as taking the larger market by storm. This hybrid is characterised by its potent euphoric and happy high, and has a predominantly pine flavour, with earthy sweet undertones. It is a real star and a preserve of connoisseurs the world over. Coming from the same family as OG Kush, Bubba Kush captures everything someone could want from a indica dominant strain. 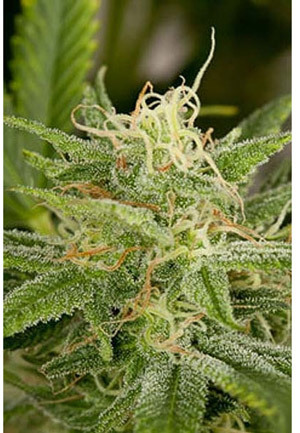 It has fast flowering times, heavy yields and a strong, relaxing indica body stone. Whilst not as strong as OG Kush in terms of THC content, Bubba Kush is nonetheless a serious contender that can take the unwary by surprise. It is another Kush that has garnered a reputation amongst the true stoners for its high quality. 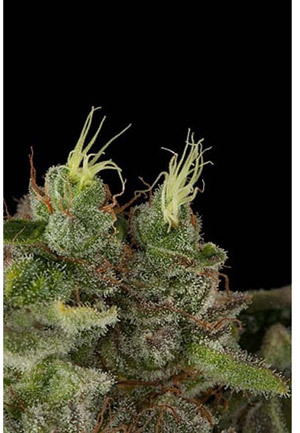 Bubba Kush has a predominantly sweet flavour, with pine and earthy undertones. Trainwreck is just as its name implies. It was thought to be one of the hardest hitting sativa dominant strains to ever come out of California, and still maintains a reputation for inducing one of a strongest psychedelic and cerebral experiences to this day. The smoke itself has a strong pine taste, with an earthy undertone and a twist of lemon. It boasts with the high yields of a sativa plant, but the fast flowering times of an indica. When you combine these traits altogether, you have a serious behemoth on your hand. Novices beware. This cross of Blueberry and Haze is a wonder to behold in the grow room. Its icy blue leaves and bud laden branches become covered in frosty crystals, making it a mesmerising and beautiful sight. It has a potent mixed mind and body high that has taken the best from both of its parents, relaxing muscles and releasing the mind, letting it float away in a euphoric haze. Blue Dream has a distinct fruity sweet flavour, inherited from its Blueberry heritage, followed up with subtle earthy undertones. It is the combination of this great taste and strong high that have made it so popular amongst growers and users alike. No top 5 West Coast strain list would be complete without mentioning the famous ChemDawg. Thought to be one of the parent strains of OG Kush, ChemDawg is a top shelf legend that combines strong and powerful flavours, with an equally strong sativa dominant high. It is a piece of West Coast history and is a solid favourite of many connoisseurs. The flavour is an eclectic mix of pine and jet fuel, making for an interesting, but extremely pleasant mix. The knockout punch it delivers can uppercut your brain right out of your skull, it is not one for the inexperienced.